The siphonophore posing for the camera in this frame is a brilliant example of some of the intricate, alien and beautiful forms of life that have evolved within the open ocean. 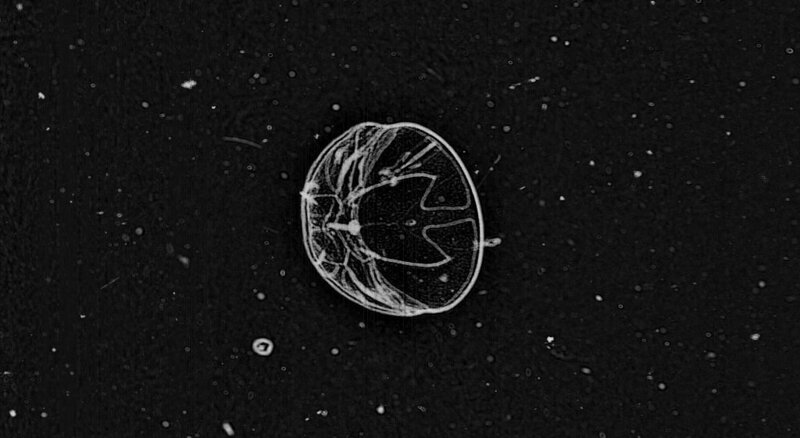 While this guy may resemble a single ‘jelly-fish’ superficially, siphonophores are actually colonial organisms with multiple specialized bodies functioning together. What teamwork! This is a great capture of a larvacean next to its elaborate and beautiful mucous house. 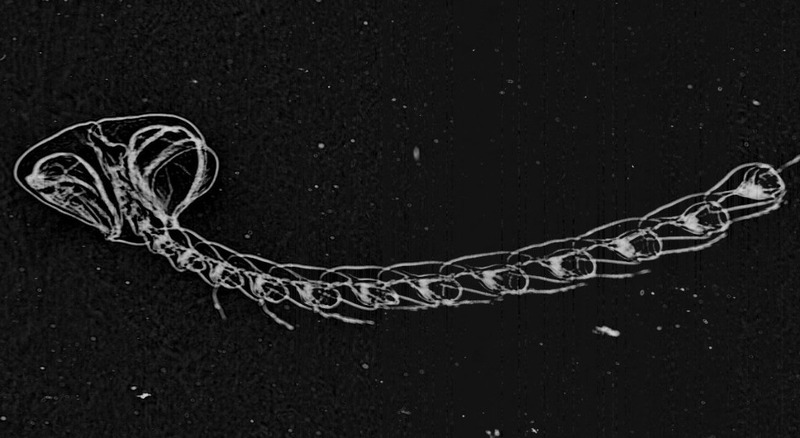 Larvaceans are part of the Tunicate subphyla and are therefore chordates, not invertebrates like many of the zooplankton critters encountered by ISIIS. 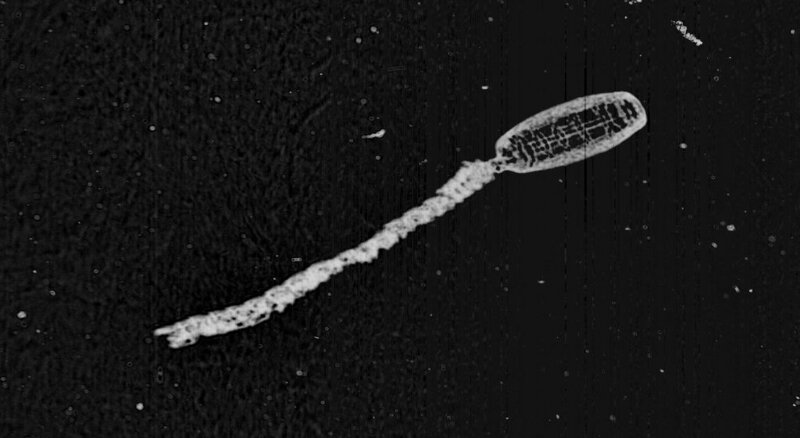 Larvaceans draw particulate matter into their mucous house by beating their tadpole-like bodies. They are known to create, discard, and remake a number of houses within the span of a single day! These houses not only help the larvacean collect food but also play an important role in the Carbon cycle as it has been recently discovered that discarded house export a significant amount of organic matter to depth. This dome-shaped critter may resemble a medusa but is in actuality a Comb Jelly, or Ctenophore. 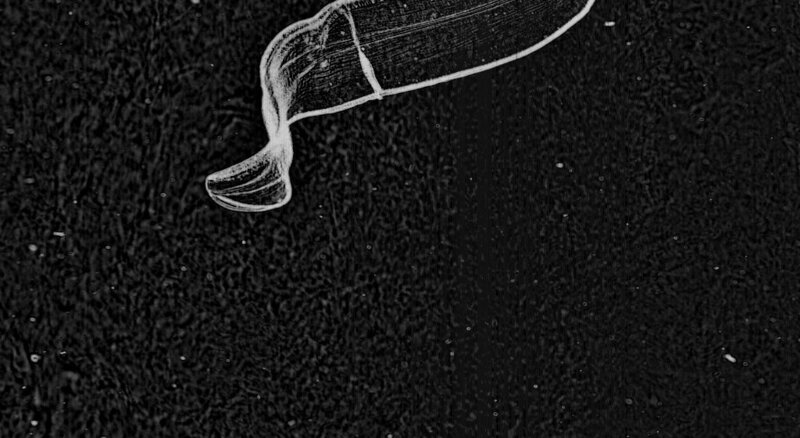 Thalassocalyce feeds on other zooplankton by spreading their body wide open to collect prey and contracting the bell closed as the unlucky plankton approaches the ctenophores mouth. Looks like this guy is on the hunt! Doliolids are a fascinating order of marine Tunicates with a complex life cycle that alternates between sexual and asexual generations. The beautiful guy captured in this frame will produce a huge number of asexually grown progeny that will bud off from the tail, or stalk, on display here. The barrel-shaped body of this guy here contains two siphons that facilitate filter-feeding of the matter suspended in the water column. The ribbon-like critter in this image represents a very unique group of Ctenophore, or Comb Jelly. On display here are many of the features that define these zooplankters. Along the ‘top’ edge of this Cestida, you can see the comb row, a group of cilia that it uses for feeding. The mouth is seen here as an apparent crease across the middle of the organism and faces away from the comb rows. Maybe some lucky Citizen Scientist will find the other half of this guy! 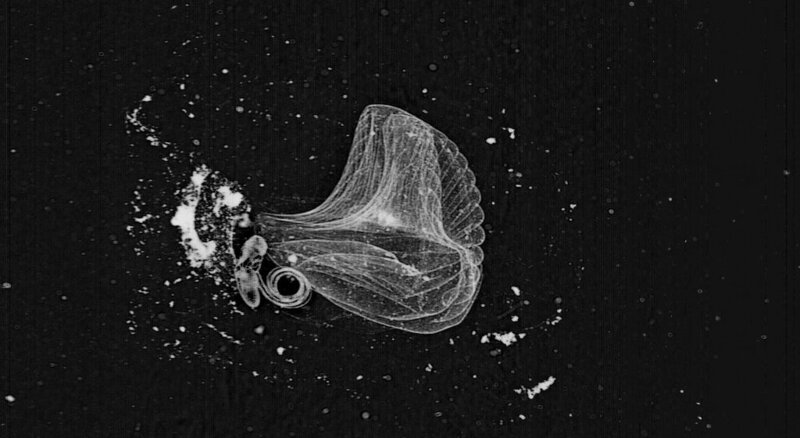 This entry was posted in Citizen Science, Fantastic Finds and tagged Ben, cestida, ctenophores, doliolid with tail, doliolids, fantastic find fridays, FFF, larvacean, larvacean house, larvaceans, sipho, sipho two cups, siphonophores, thalasso by bgrassian. Bookmark the permalink. “They are known to create, discard, and remake a number of houses within the span of a single day!” I say, larvaceans need a better filter cleaning technology. Howdy fantastic blog! Does running a blog like this take a great deal of work?